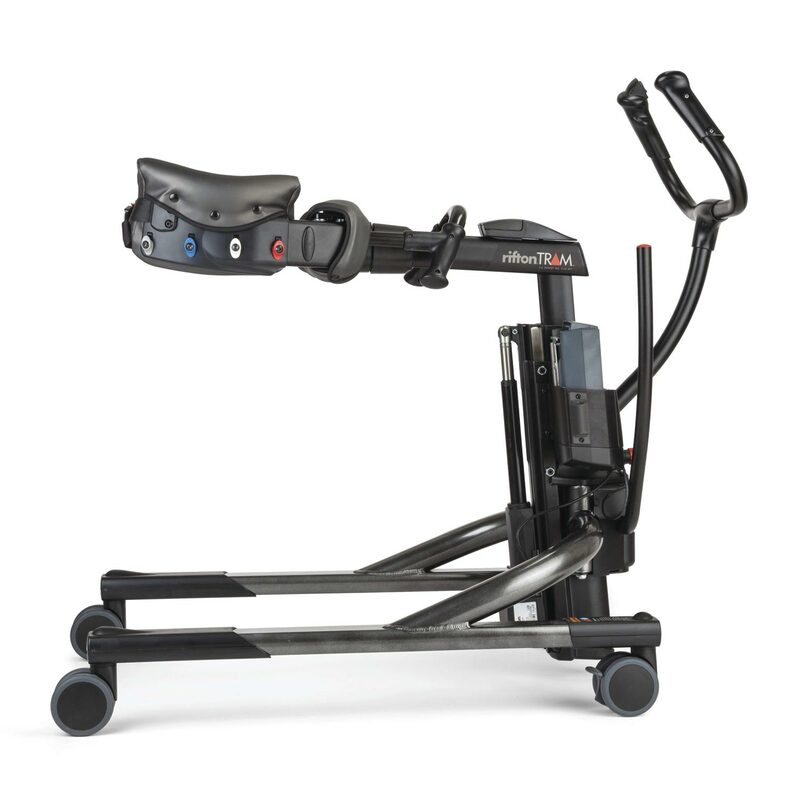 Rifton TRAM transfer and mobility device is a transfer and mobility device designed for the safety, convenience and dignity of both client and caregiver. 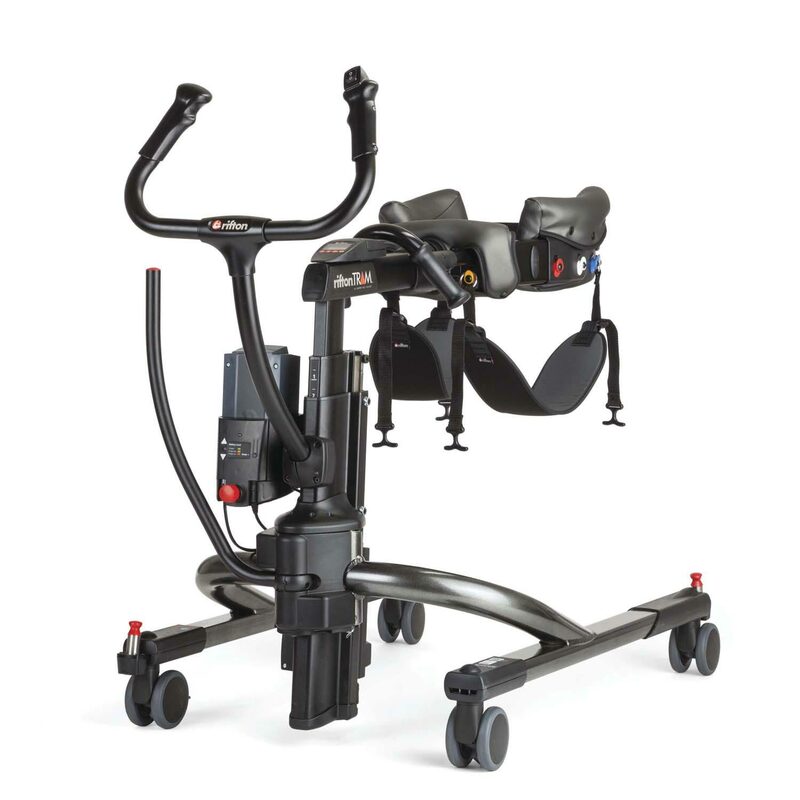 TRAM seamlessly performs seated transfers and raises a client for standing and supported ambulation. 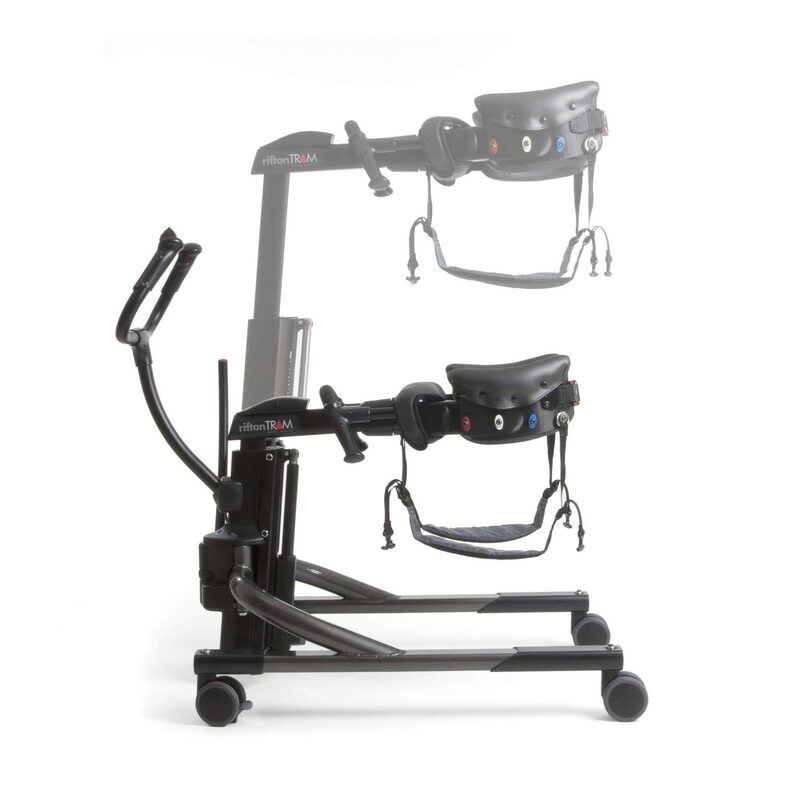 More than a client lift system, the Rifton TRAM combines three powerful functions in one device: gait training, sit-to-stand transfers, and seated transfers. 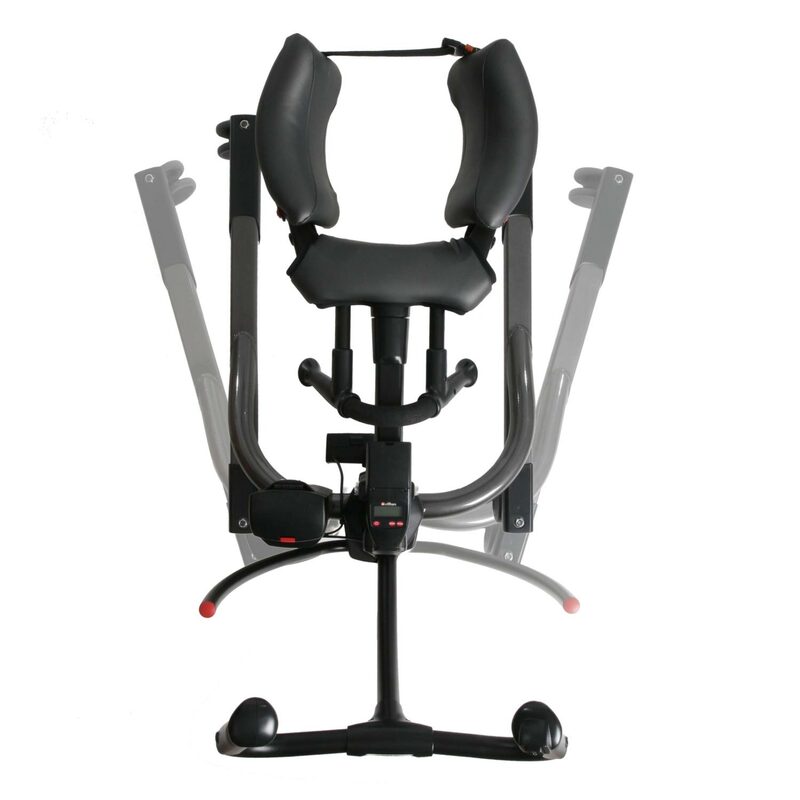 Rifton TRAM is capable of lifting and transferring clients of varying abilities and body types, the TRAM features an innovative support system that secures the client with a simple buckle. This enables the caregiver to quickly prepare the client for a safe transfer. Rifton TRAM’s compact, ultra-light frame is maneuverable in small or confined areas, as well as simple to transport or store. Quickly adoptable by multiple caregivers, the TRAM’s intelligent engineering significantly reduces back strain and stress - providing a smarter and safer environment for workers. Body support system - Rifton’s TRAM features an innovative support system that secures the client with a simple buckle. This simplicity enables the caregiver to prepare the client quickly for a safe transfer. Unlike other client transfer devices, the TRAM has no slings and requires little or no preparation to transfer clients. 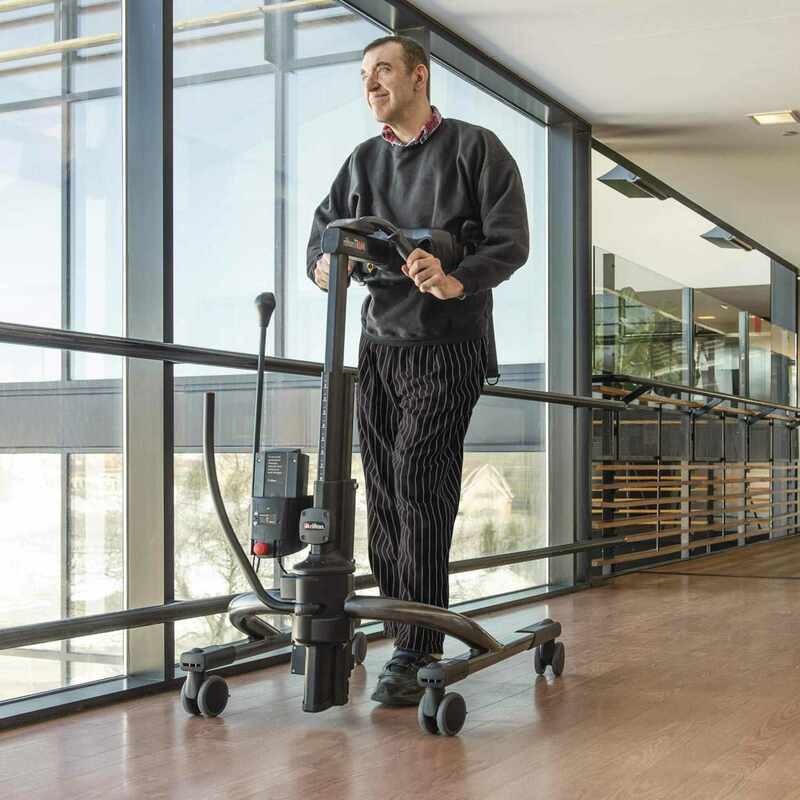 Optional scale - TRAM’s optional scale allows the caregiver to weigh a client easily during transfer, as well as measure weight-bearing capability and progress, during supported ambulation. Note: Purchasers must decide on the scale option at the time of purchase. Built-in up & down switch - Raise and lower the TRAM using the single button built into the right steering handle. When the TRAM is being used as a sit to stand device, the caregiver can pull back on the handle to help raise the client. Three stage riser - The carefully engineered, telescoping lift column gives the TRAM its low profile providing clients in the transfer device with the security and dignity of unobstructed eye contact with their caregivers and surroundings. 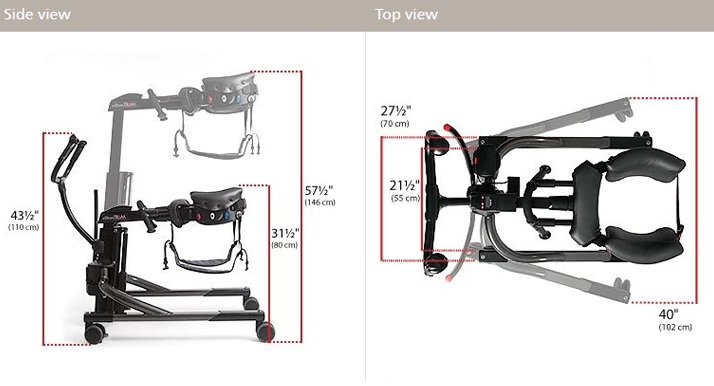 TRAM can be raised high enough to support a 6’4" walking client and then retract down to 43.5" for compact storage. Expanding legs - Compact and low-profile, the TRAM can pass through a 28" doorway with ease. Transfer in and out of the new, wider wheelchairs by rotating the leg expander. Lockable front casters make the TRAM a mobile, yet secure piece of client transfer equipment. Color-coded clips - Caregivers can quickly hook the metal rings into one of the TRAM’s four color-coded clips. The clips have been color-coded for positive identification in written protocols. Low-base option - With a 3" caster and lower frame base, the low-base TRAM does everything the standard Rifton TRAM does, plus it slides under beds with as low as 4.25" clearance. This option was designed for care environments where hospital bed floor clearance would hinder use of the standard TRAM. Overall product length 45½" 45½"
Overall product width 27½" – 40" 27½" – 40"
Overall product height 43½" – 58" 43½" – 58"
TRAM weight 70 lbs. 70 lbs. Floor to top of base leg for furniture clearance 6¾" 4¼"
Minimum user armpit height (when standing or ambulating) 30½" 30½"
Maximum working load (lbs) 350 lbs. 350 lbs. Batteries 12V, 2.9 Ah valve-regulated lead-acid gel-type batteries.